For Girls: Upstairs sisters prayer hall. 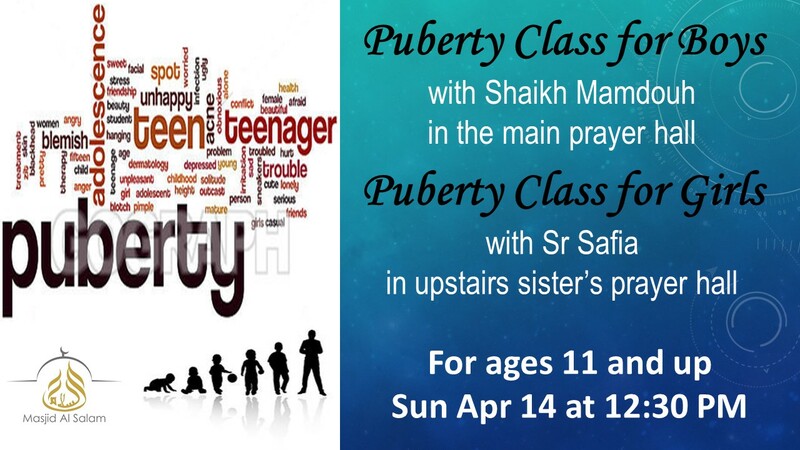 Taught by Sister Safia. For ages 11 and over please.